During my last modern quilt guild meeting, I stumbled across some new woven Lecien prints in my LQS that I immediately swooned over. Without much deliberation, I decided I suddenly neeeeeeeded some of it in my life. 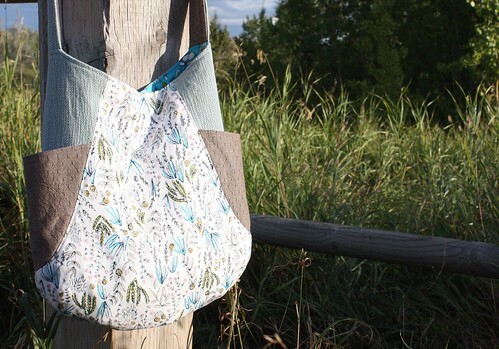 Enter Noodlehead's 241 Tote (and my new love!). While searching for a good pairing for my bag, I kept coming back to a print from Sarah Watson's new line Arcadia that I just adore. Herb Garden in Multi, - I might need this print in an obscene amount of yardage. 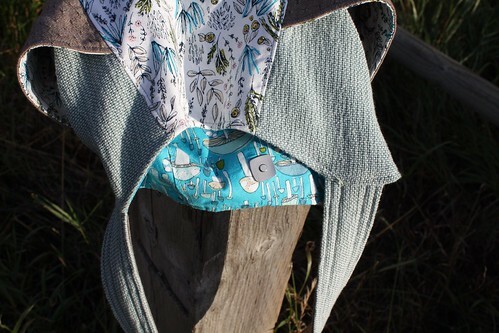 With some help from great quilty friends (ie. 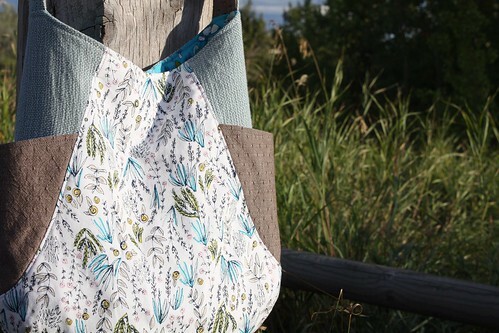 enablers), I chose two Sarah Watson Arcadian prints for my primary and lining fabric, as well as two Lecien wovens for side panels and straps. 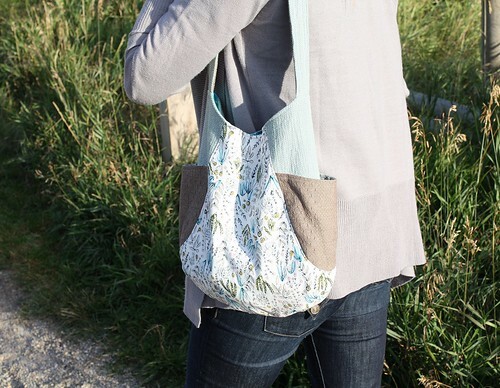 Noodlehead's pattern is so extremely well written and easy to follow, I would recommend it to even the most novice bag maker. I love the finished size, and how easy it is to customize. I am already narrowing options down for a second 241! Also the lining has little mushrooms. I mean how can it get better than that?! So much whimsy, and I'm lovin' it. What a cute bag. 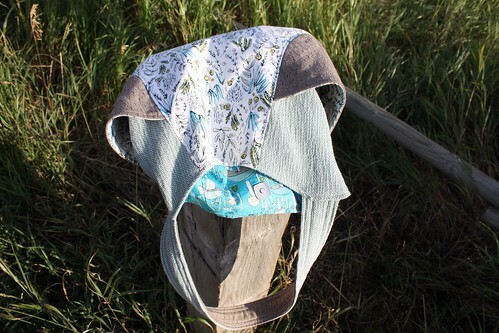 I have hear such great things about Noodlehead patterns.